Classics of Ebony EnterprisesTM is a musical force that began in 1973 and continues to grow. NEVILLA E. OTTLEY began the Music School as a home studio in her apartment living room in Silver Spring, Maryland. Born in Trinidad, she has lived in the USA most of her life. 1981 Founded The Nevilla Ottley Singers, Inc. in Washington, D. C.
EDGAR E. ADJAHOE was born in Ghana, West Africa, and has lived most of his life in the USA. He began is elementary school education in Mooresville, North Carolina, his mothers home town, but moved with his family to Westbury, Long Island where his father served as Minister of the Westbury A.M.E. Zion Church. Graduated from Westbury Elementary School, Long Island, N.Y.
BassoonistSummers 1963 and 1964, Long Island Symphony, N.Y.
1965-1968 U. S. Army (in Vietnam 3 months) Walter Reed Army Medical Center, Washington, D. C. Biological research. 1968-1970 National Institutes of Health, worked in Clinical Labs to develop chromosome studies in patients. 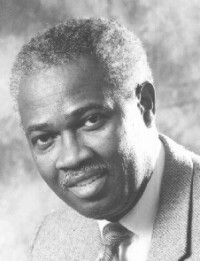 1987-1999 Walter Reed Army Medical Center, Health Specialist, and later he developed and was appointed Deputy Director, Facility Management Branch. Now Mr. Adjahoe is the Co-owner and CEO of Classics of Ebony Enterprises. He will be glad to hear from you regarding anything in this website.